"Jingle bells, jingle bells, jingle all the way". For the last 150 years or so, people have celebrated Christmas with this popular yuletide tune being played ad nauseam. However, for making people immerse themselves completely in the jubilation of the winter holiday season, jingling bells will just not cut it anymore, what with all sorts of musical gizmos capable of generating a whole range of jangling and clanging. For the past couple of years, the Christmas season is abuzz with musical balls that boast of the hottest lineup of stars that are going to unleash some of the sickest vibes of that have been blasting out of media portals all over. However, none of them seemingly compare to the Z100 Jingle Ball that goes beyond the music and brings out the star stuff that fuels the manic music machines. And you can be part of all the music madness that is going to down this time around by getting your hands on some Z100 Jingle Ball tickets. The Z100 Jingle Ball has been a staple Christmas phenomenon since 2003, and is organized by what is reputedly the trendiest radio station that worms its way through the Big Apple's airwaves round the clock. Since its inception, the annual musical event has entrenched itself in the circular embrace of Madison Square Garden, one of the most famous performance venues in the world. For more than a century, Madison Square Garden has been a notable fixture of New York's sporting and cultural milieu, its current incarnation being the fourth such one, and has been making history since opening its doors in 1968. Accommodating around 20,000 people at a time, the venue has been host to some of the most legendary acts in music, such as The Beatles, Led Zeppelin, Elvis Presley, Michael Jackson, The Grateful Dead and Elton John, the latter two having performed more than 5 and 6 dozen times respectively. Right from its first offering, the Z100 Jingle Ball has been bringing in the most happening musical acts to grace its stage. The 2003 event roped in Jay-Z, Jennifer Lopez, Kelly Clarkson, Beyonce, 3 Doors Down, Hillary Duff, Sean Paul and Matchbox Twenty to set the pace for all future shows to follow. Though the 2004 Z100 Jingle Ball had big shoes to fill, it did not disappoint. Featuring the likes of Good Charlotte, JoJo, Maroon 5, Gwen Stefani, and Destiny's Child, and with Hillary Duff and Kelly Clarkson reprising their previous year's appearance, the show was a resounding success. The following years' shows have been responsible for bringing forth some of the most memorable performances from an entire pantheon of the musical industry, such as Kanye West, Ludacris, Chris Brown, Backstreet Boys, Evanescence, John Mayer, Alicia Keys, Timbaland and Avril Lavigne to name a few. The Z100 Jingle Ball has served as a virtual litmus test for many of the current heavy weights of music such as Justine Bieber, Lady Gaga, Taylor Swift and Katy Perry who all experienced having arrived whilst performing there as they were starting out. With the 2010 Z100 Jingle Ball show having gone all out in capturing a slice of the best musical entertainment being doled out to the listening masses, the 2011 one is yet again gearing up to pull out all the stops. This year's Z100 Jingle Ball is serving out a befitting feast of musical treats with a scintillating menu to wrap them all up in. The fares range from the tangy beats of LMFAO and the zingy rap vocals of Pitbull to the electrifying vibes of David Guetta capped by the power ballads of Kelly Clarkson, a Z100 Jingle Ball crowd favorite. The sizzling yet frosty icing on the entire cake will be the grand pop diva Lady Gaga herself who will continue to express why exactly she was Born This Way. All throughout the past 8 years, the Z100 Jingle Ball has kept on giving in typical Christmas fashion. Be it rap, hip hop, pop, rock, R&B or electronic, the Z100 Jingle Ball is the biggest party in town every time it goes down. And getting the Z100 Jingle Ball tickets is the only way to take a deep plunge into the whirlpool of melodies that erupt again and again as a musical Vesuvius. Can i, by any chance, get my hands on free z100 jingle ball tickets? Sorry you cant as TicketLuck doesnt feature free Z100 Jingle Ball Tickets. However, view our Distressed Inventory section which contains tickets listed at below face value. Check it out, you might get your hands on some REALLY cheap tickets. I am hoping to get cheap tickets for miley cyrus in charlotte nccheap tickets to z100 jingle ball. What are your offerings? Well, we are offering tickets to the best seats at discount prices with an additional discount at the checkout. Please browse through our inventory of Z100 Jingle Ball Tickets and book your tickets today. I need 2 z100 jingle ball tickets. Would you inventory have these? Our massive inventory of tickets to all the top-notch events and venues is always bustling! Browse it today and book the Z100 Jingle Ball tickets of your choice! I want to buy cheap z100 jingle ball ticketa. Do you have them? Yes, we do have cheap priced Z100 Jingle Ball Tickets available on our website. You can look through our page for details and order your tickets from there. I want to get best deals on jingle ball tickets. What can you offer? You can have Z100 Jingle Ball Tickets from our website at cheap prices. You can also have discounts on your tickets to get them cheaper. 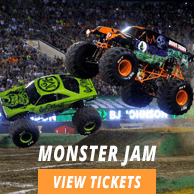 Do you sell cheap tickets jingle ball z100 here on your website? Yes, we do sell z100 Jingle Ball Tickets at cheap prices on our website. Look through our page for details and order right away! Do you sell cheap tickets for z100s jingle balls tickets here on your website? will z100 jingleball tickets drop in prices? Z100 Jingle Ball tickets are already available with us at reduced prices so don;t miss this opportunity and click on the deal. Can I buy z100 jinlge ball tickets online? Yes, you can buy Z100 Jingle Ball Tickets online as it is the safest and easiest way to buy tickets from us at low rates. Where are cheap jingle ball z100 tickets? We offer great prices on Z100 Jingle Ball Tickets and you can buy them from us without being worried about your budget. Are there any hidden charges for z100 tickets cheap? The price of Z100 Jingle Ball Tickets is final and inclusive of all charges. There is no additional cost. How can I get discount on z100 jingle ball tickets? You can get discount on z100 Jingle Ball Tickets by using discount codes while purchasing the tickets. I need to get z-100 jingle bell tickets? Go get the Z100 Jingle Ball tickets from our site right now and do not forget to avail our disocunts. Are jingle ball tickets cheap z100 resold on the website? No, the Z100 Jingle Ball Tickets are not resold on the website because all deals with us are final. I lost my tickets z100 s jingle ball, do you have more so that i can buy new ones. Z100 Jingle Ball tickets are very much available right now but hurry up and grab your deal now. When does z100 jingle ball start giving out tickets? Z100 Jingle Ball Tickets have already gone up for sale, check out the price list and order now! is there an chance to get cheap z100 jingle ball tickets? We have loads of Z100 Jingle Ball tickets at cheaper rates, check them out now! Can you sell me any cheap z100 jingle ball ticktes? How will you charge me for z100 jingle ball tickets cheap? You will be charged for Z100 Jingle Ball Tickets through your credit card. I am wondering about the tickets to z100s jingle ball? We have loads of Z100 Jingle Ball tickets, go get the best tickets now! Will numbers be written on tickets jingle ball z 100? Z100 Jingle Ball tickets do not have seat numbers written on them. I need 2 tkts for jingle ball, when do they go on sale? The Z100 Jingle Ball tickets are now up for grabs.